Vinyl Tape – Western Containter Corp. In an industrial setting, vinyl tape can be used for marking floors for safety or hazards, or labeling, since it can be written on with permanent markers. It helps keep hard to see objects such as switches, steps and emergency exits visible in a dark environment. Because of its diversity, vinyl tape comes in just about every color imaginable, as well as two-toned, striped, transparent, neon and glow-in-the-dark. Because of the wide color range, areas can be marked in OSHA or hazard colors. In this way vinyl tape and marking tape are related, although the adhesive strength of marking is greater and it is also abrasion resistant because of its common use on the floor. Vinyl tape retains its color even under heavy abrasion and scuffing, doesn’t leave residue or chipped paint behind, and has excelled dead stretch. That means it is a good color coder for various applications, much like packaging tape can color code traveling schedules for packages, electrical tape color codes wire types and PTFE tape color codes pipes. Electrical tape can actually be a vinyl tape, although it is also made from plastic occasionally. Vinyl tape is also resistant to UV rays, water, oil, fungus, chemicals and abrasions. Like most tapes, those made from vinyl are composed of a backing, made out of pigmented or transparent PVC backing, and a rubber adhesive. The standard length for rolls is thirty six yards, the thickness is usually six mils and it has a width between one-fourth of an inch and four inches. Vinyl tape is long lasting, adheres to irregular or smooth surfaces immediately, and has a temperature range between 40°F to 170°F. However resistant, vinyl tape should not be exposed to ketones, chlorinated hydrocarbons, esters found in lacquer thinner, degreasers or paint strippers, as this will cause the plastic backing to swell or curl. Also, it should always be applied at normal temperatures. Vinyl tape is easily defined by its base material, regardless of what coating process develops its various sub categories. 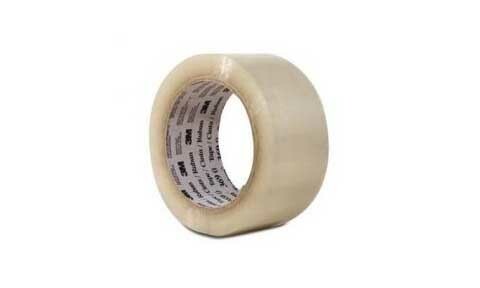 Electrical tape, foam tape and marking tape can all be subsidiaries of vinyl tape. It may be trimmed to specific lengths and widths like plastic or metal tapes, and sometimes comes with a double sided adhesive. 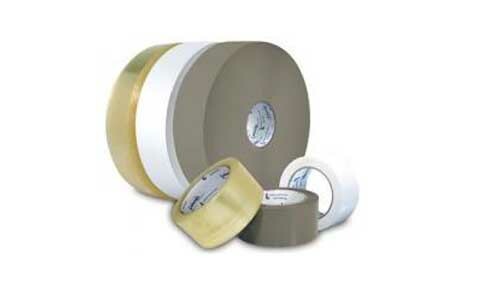 Vinyl Tape Vinyl tape is a general purpose item made from durable, flexible plastic. It is often used for color coding, car detailing, decoration, repairing, bundling, splicing, sealing, palletizing, and strapping.